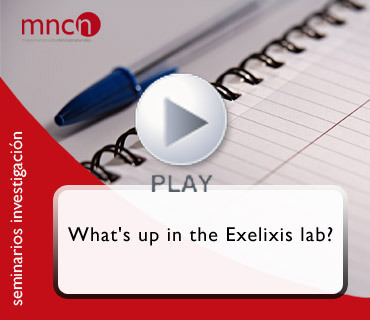 Research seminar: WHAT'S UP IN THE EXELIXIS LAB? Seminario de investigación: QUÉ ESTÁ PASANDO EN EL LABORATORIO DE EXELIXIS? The molecular data avalanche is transforming evolutionary biology into a computational science because it increasingly relies on high performance computing and storage facilities. At the Exelixis lab, we inted to facilitate this transformation by developing novel, scalable, parallel, and fault-tolerant algorithms, models, and tools for large-scale evolutionary data analysis. I will provide a qualitative overview of our research activities, covering the new supercomputer version of RAxML, called ExaML (Exascale Maximum Likelihood), new fast and parallel codes for population genetic analyses, tools for phylogeny-aware metagenetic analyses as well as rogue taxon identification algorithms. I will conclude with our plans for future work. Ponente: Dr. Alexandros Stamatakis, Scientific Computing Group, Heidelberg Institute for Theoretical Studies, Heidelberg, Alemania.